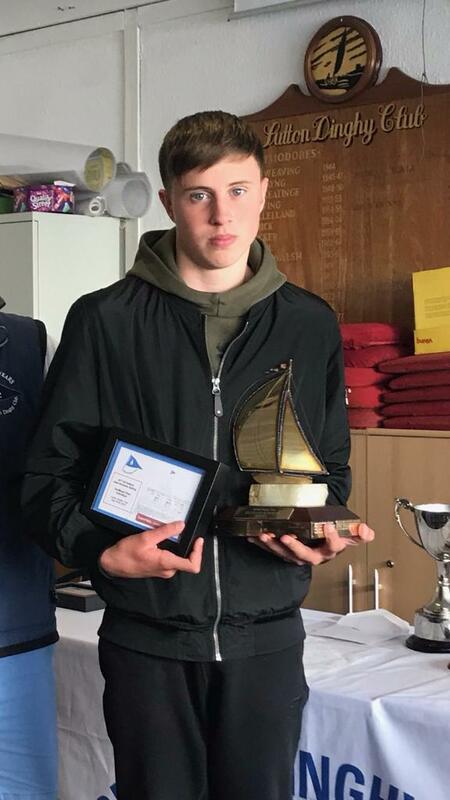 Newbridge Patrician Secondary School student, Adam Walsh has won an individual All-Ireland Inter-Schools Sailing title. The thirteen year-old first year student, who hails from Halverstown, Caragh, competed in the mixed fleet individual against 58 other sailors (45 other boats) from schools throughout Ireland in Sutton Dinghy Club last weekend. While the Patricians have always had a history of water-sports in the school, particularly canoeing, this is it's first foray into sailing. "What makes this result all the more remarkable is that he is only 13 years old and beat boys older than him. In fact his biggest rival over the weekend, finished second, and is a 5th year," said the proud school. The first ever “National Inter-Schools Regatta” sailed in Ireland, the brainchild of Riocard O’Tiarnaigh, was sailed at Sutton Dinghy Club on Saturday April 12 1975. While teaching at Belvedere College Dublin, Riocard devised and organised this competition.